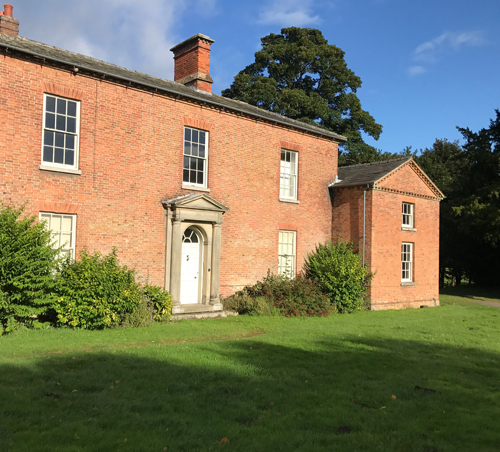 Since the National Trust took on the estate of Shugborough last year, it has been going through an extensive renovation and preservation programme to breathe new life into the estate. The Shugborough Estate is unique in that it is a rare survival of a complete estate, with all major buildings including mansion house, servants’ quarters, working farm and walled garden. As part of the renovation works, Westgate were approached to install a security, anti-glare and anti-fade window film, as well as window sun blinds, into the park farm house and associated buildings. Westgate have been working with the National Trust for a number of years. 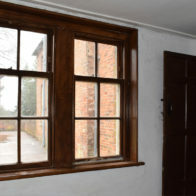 Previously Westgate had installed blinds and window film at various locations on Shugborough Estate, prior to the estate being placed into the guardianship of the National Trust. 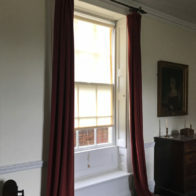 In line with the vital conservation work being done by the National Trust, it was important to cover all furnishings before any work could begin. Before the window film was applied, the old glass panes that still remain in their original timber frames, were intensively, yet carefully cleaned. The chosen window film is ideal for use in historic buildings and museums as it helps to protect the valuable interior from fading and UV damage, filtering out 99% of UV radiation. Offering a triple layer of protection, this combination film also provides anti-glare and reinforcement of glass, making it superior to other types of UV window film. Another benefit of the window film is that it provides optimum clarity once installed; visitors will not be subject to reduced visibility in any way. The UV reduction window film works all year round as buildings still need protection from harmful UV rays in winter, as well as summer. The window blinds that were installed were heavy duty action blinds with zig-zag hems, matching bottom pocket containing a heavy pear-shaped, sewn in, chamfered wooden lath with a brass plate knot holder, wooden acorns and glazed cotton cords. The National Trust take extra preventative measures to fully ensure that historic artefacts and furniture are truly protected. One way they do this is with complementary window film and blinds. Manufactured from blackout or dimout fabric, Westgate’s bespoke National Trust blinds are adept at keeping out unwanted light and UV rays, providing an extra layer of protection. Westgate are proud to have provided a service which helps to preserve and support the historic estates of both the National Trust and Great Britain and look forward to returning to fit blinds and film in the historic mansion.